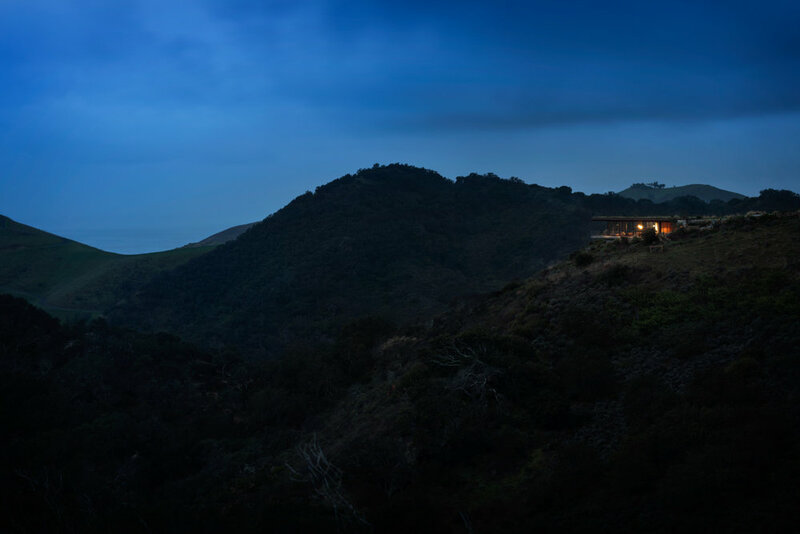 Located on an isolated property overlooking the Pacific just north of Santa Barbara, this minimalist, modern house fits discretely into the landscape. 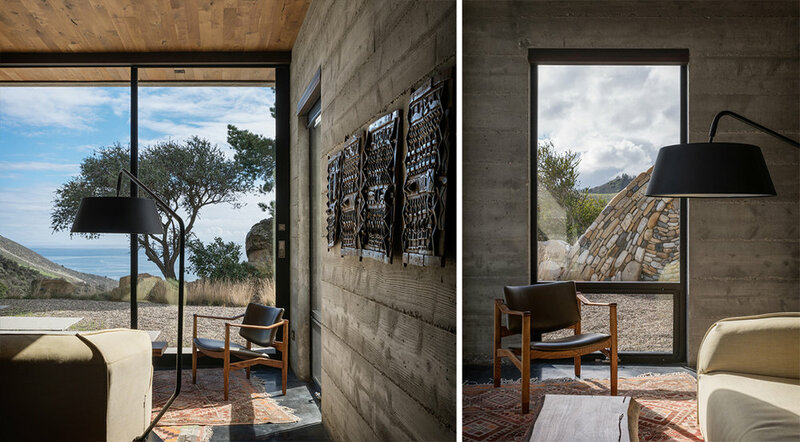 Designed by Anacapa Architecture, it consists of two board-formed concrete structures that are partially bermed into the hillside, opening out to the ocean view below. 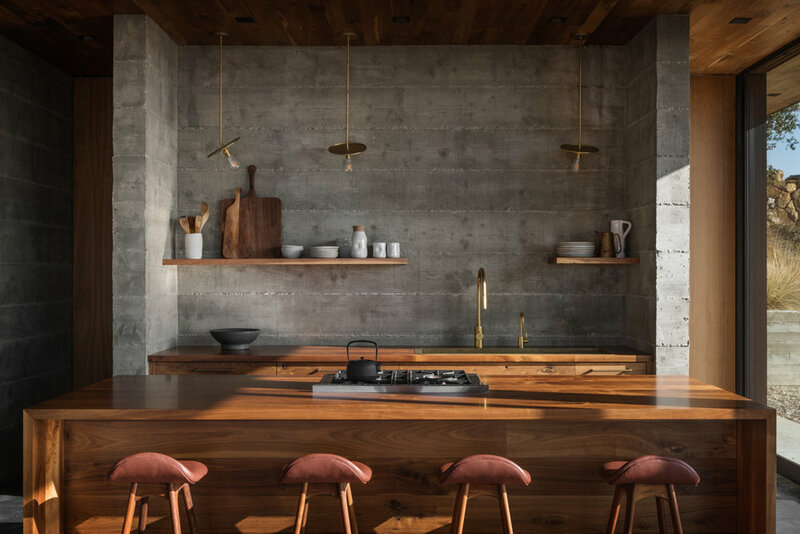 The material palette is extremely simple and restrained, consisting of concrete, walnut, glass and steel. 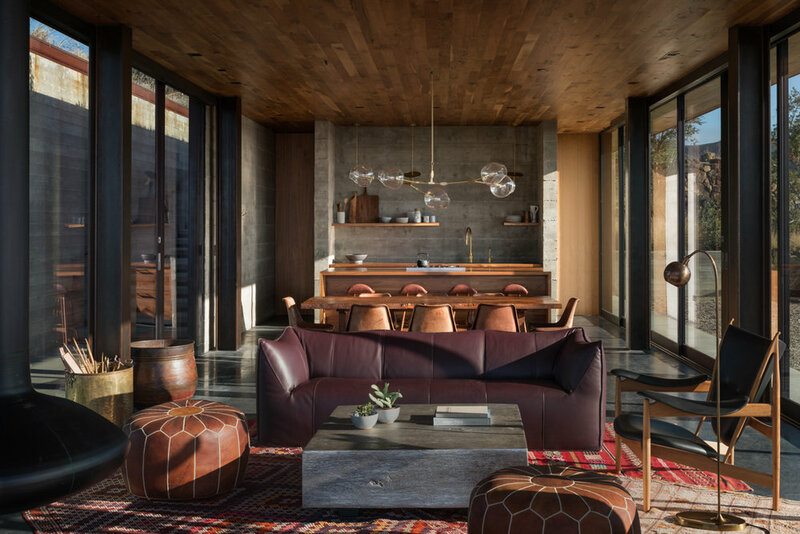 Our office designed the interiors and the furnishings, which add character to the warm, earthy palette with the introduction of leather, wood, brass, and handwoven textiles. 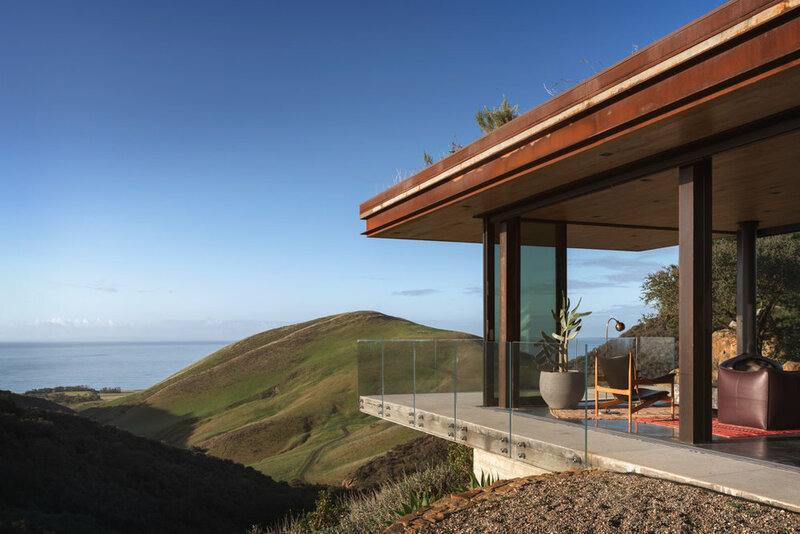 The senior designer for the Santa Barbara Coast House project was Mira Eng-Goetz.